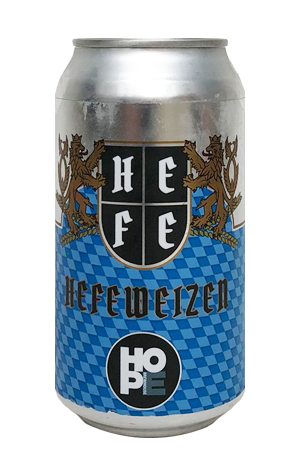 They've had a Hefeweizen as part of their lineup for a number of years at Hope but, as Oktoberfest season approaches in 2018, they've released one in cans too. Inspired by the beers of Bavaria, the aim was to create the style's famous melange of banana, clove and bubblegum aromas from yeast derived esters and phenolics. And they've succeeded in drawing them out to the extent the aromas moved beyond the realm of banana lollies into something reminiscent of a vanilla laced, creamy banana flota. It's a creaminess you find on the palate too, with some spicy phenols and sweet malts in support and just a touch of refreshing tartness there to moderate its effervescent banana floatiness.